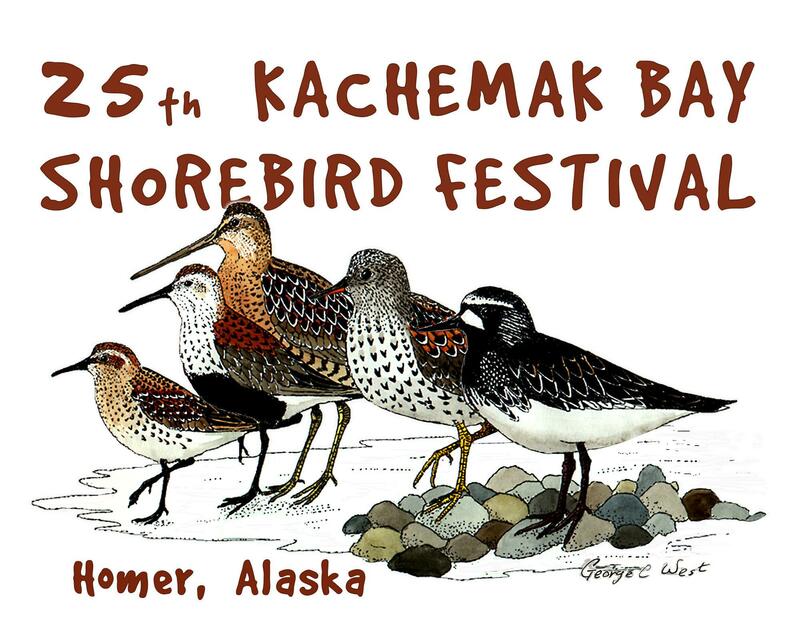 The Kachemak Bay Shorebird Festival was recently named the recipient of the 2017 Mindful Birding Award. It’s a special commendation given to birding festivals around the country for adopting ethical practices. This Mindful Birding Award was given jointly to the U.S. Fish and Wildlife Service and the Friends of Alaska National Wildlife Refuges for the Kachemak Bay festival. “We have been looking around for a while for a good source to explain some good birding ethics. We have quite a few beginners, so it’s good to give them sort of a code of conduct of birding and also for longtime birders, too," said Festival Director Robbi Mixon. She says they were contacted by the award’s coordinators, who provided them with a comprehensive set of ethical birding goals. “I think it just gives good guidelines on how to behave around other people and more importantly, around the birds, so we aren’t invasive on their environment and what they’ve got going on," said Mixon. Then, they were able to pare that list down to make it fit this event specifically. “I hope by not telling people exactly what to do, this project just gives them a foundation to build up an agreement that can bring our consciences in line with our actions in how we treat wildlife," said Marla Morrissey, founder of the Mindful Birding Project. As part of the award process, the shorebird festival adopted four points they’d like participants to follow, which they call Birding Ethics 101. First, wildlife come first, meaning the birds’ welfare is the festival’s highest priority. Second, they ask people to respect others and practice safety, meaning be mindful of other birders and everyone else who might be nearby. Third, they hope birders enjoy their birding experiences and take time to be quiet and patient and have fun. Fourth, they encourage participants to support conservation and be green. This multifaceted approach to ethical birding is why Morrissey said she started the award project in the first place. After traveling to many festivals around the country, she found they often didn’t have any written guiding principles for participants to follow. There were lifetime birders sometimes set in their ways and newcomers to the practice who were eager to learn and try new things, but perhaps didn’t have any foundation to build on. Mixon said she, for one, has learned on the go through partnerships like this. On the other hand, Morrissey has been a birder since she was a girl. Morrissey hopes this award and what it stands for will encourage birders of all stripes to find the same kind of passion she has and stick with it in a sustainable way.